An Ontario court has ordered Correctional Service Canada to pay tens of millions of dollars for placing thousands of mentally ill prisoners in solitary confinement. It is the third major legal defeat in a little over a year for the prison agency’s practice of isolating inmates in cells the size of parking spaces for 22 or more hours a day. 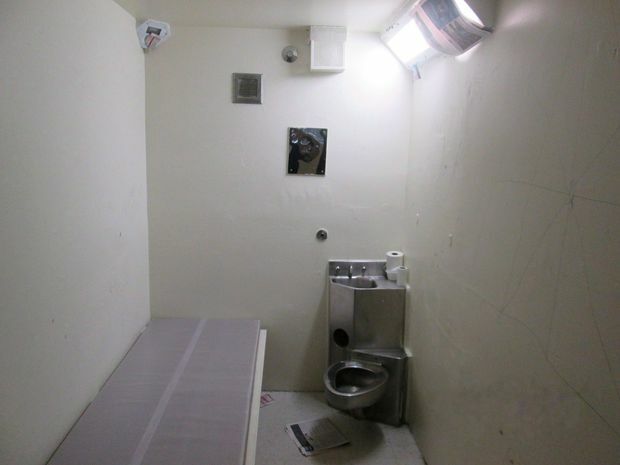 Three different courts have now ruled that Corrections’s use of solitary confinement violates the Charter. Previous decisions from Ontario and British Columbia faulted the process the agency uses to review its segregation decisions. All the cases found time in solitary confinement can cause an array of mental-health conditions, including hallucinations, paranoia, self-harm and suicidal thoughts. Ontario Superior Court Justice Paul Perell ruled Monday that the federal prison agency’s treatment of at least 2,000 mentally ill inmates violated Sections 7 and 12 of the Charter of Rights, which protect against arbitrary state actions and cruel and unusual punishment. “For decades, the Correctional Service has been aware that administrative segregation is especially harmful to the mentally ill,” he stated in a decision released on Monday. He ordered the Correctional Service to pay $20-million for Charter breaches of members of a class-action lawsuit who spent more than 30 days in administrative segregation involuntarily and class-members who spent more than 60 days in administrative segregation voluntarily. Compensation for individual members of the class will be dealt with during another phase of the case where they can bring forth personal medical and prison records to argue for damages. Class members who spent fewer than 30 days in administrative segregation will be able to make claims on an individual basis. The $20-million is not intended to compensate individual members of the class. Instead, Justice Perell has earmarked the sum for mental-health resources or other programming at federal prisons, less legal fees. "The funds are to remedy the harm caused to society which has suffered from the Correctional Service’s failure to comply with the Charter and also its failure to comply with the spirit of the Corrections and Conditional Release Act and its purpose of rehabilitating mentally ill inmates to return to society rather than worsening their capacity to do so by the harm caused by prolonged solitary confinement,” he wrote. Correctional Service Canada did not respond to a request for comment. Crown lawyers had argued that the breaches of individual inmates’ Charter rights did not constitute a class-wide or systemic violation and denied that damages should be awarded. The class includes nearly all inmates diagnosed with an array of specific mental-health issues who spent time in administrative segregation at a federal prison from 1992 onward. “It’s truly abhorrent,” said Mr. Sayce, of the conditions his clients faced. “There’s been certain lip service paid to fixing problems that have been known to be systemic for decades. The CSC can no longer deny that its treatment of mentally ill prisoners, and prisoners generally, has been unconstitutional." In October, the federal government proposed legislation it said would fix those breaches by introducing a new oversight mechanism and giving segregated inmates at least four hours out of their cells every day. The bill passed third reading last week and is currently before the Senate.